Only one time. After that, you would be subtracting from 20. 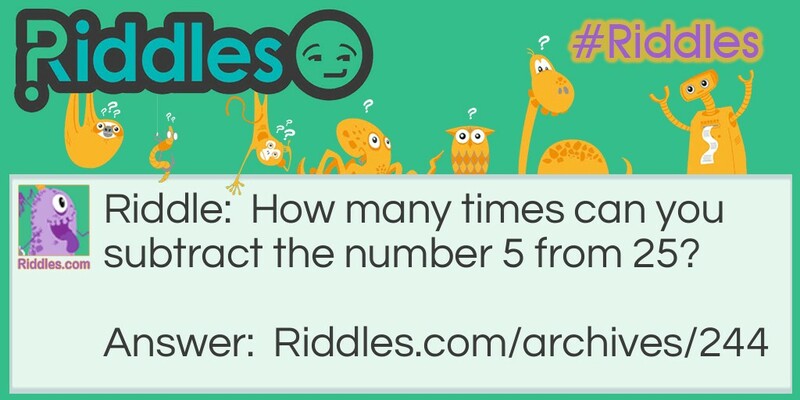 Five from Twenty-Five Riddle Meme with riddle and answer page link.